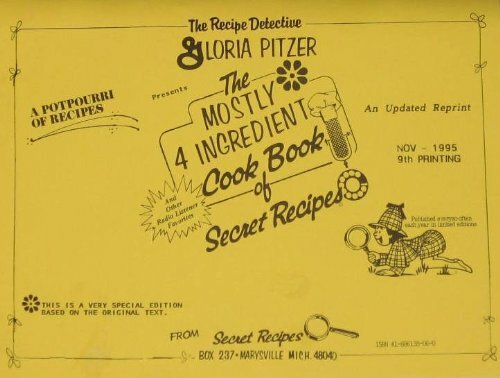 1995 – Gloria Pitzer Presents The Mostly 4-Ingredient Cook Book of Secret Recipes is an updated reprint of Gloria Pitzer’s Mostly 4-Ingredient Recipes (Dec 1986, 2nd Printing) written, illustrated and published by Gloria Pitzer (Secret Recipes, St. Clair, MI). NO LONGER IN PRINT – this cookbook has an 8.5” x 11” format with 60 pages, using the same 120 pages of the smaller, Dec 1986 format and laid out horizontally with 2 old pages per each new page. 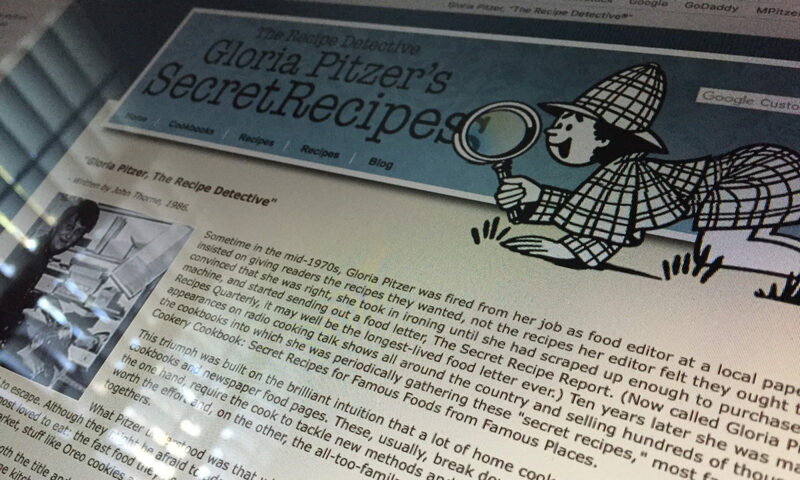 The new style boasted about 470 recipes in its index, covering dishes that Gloria developed and tested to perfection. 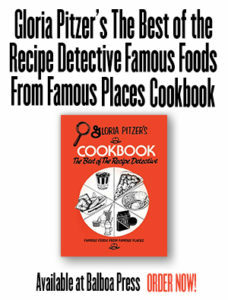 This cookbook includes all of her favorite shortcuts to success that have been requested by her radio-listeners around the world, during her visits with over 150 radio stations.